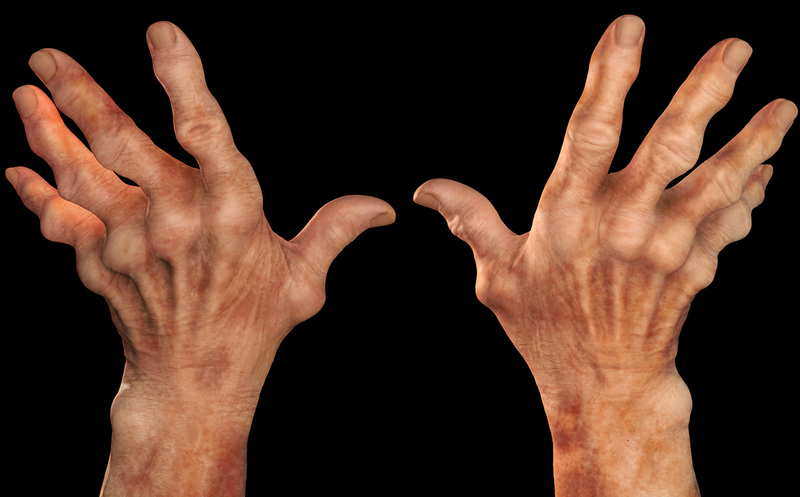 Many arthritis sufferers are caught betwixt and between. Advil and other analgesic over-the-counter pain relievers aren’t strong enough, but Oxycontin and other opioid prescription painkillers are highly addictive. Perhaps the problem is that many of us view medication as the entire solution as opposed to a piece of the puzzle. Medical intervention is ideal for flare-ups, and although some people claim it is possible to deal with conditions like trigger finger with some natural remedies, it’s usually a much better idea to just use a good trigger finger splint. But since there is no splint or wrap for everyday chronic pain, dealing with this discomfort requires a more thoughtful approach. It may sound far-fetched to some, but there is considerable evidence that mindfulness reduces arthritis pain and makes it more manageable. Pain messages are a lot like news stories. “Breaking News” headlines are hard to ignore, but when a commentator appears to tell us what’s wrong with America, it is a little easier to change the channel. Likewise, when nerve endings declare that “something is wrong” and send intense pain signals, these signals are almost impossible to drown out. But non-emergency messages are a little easier to muffle. That’s where meditation comes in. By focusing on something other than pain messages for a few minutes, some people can effectively ignore the pain for several hours thereafter. The goal should probably not be to meditate the pain away altogether, because that is not very likely to happen, at least after just a few minutes of deep breathing once or twice a day. But meditation can, and usually does, reduce your dependency on painkillers and often also reduces the pain enough to the point that analgesics are much more effective. This one may seem a bit far-fetched as well, but once again, there is evidence that certain kinds of fat reduce joint stiffness. Omega-3s, which are in fish oils and some other foods, have shown considerable promise in surveys and chemical trials, but since you’ll need to consume a lot of these fats, consult a doctor before taking any supplements. The same goes for the plant-based fat GLA (gamma-linolenic acid). Some herbs, like turmeric, may help reduce arthritis pain as well, but there is little research directly on point. Like meditation, curry and cod will not make your arthritis go into remission, and it probably won’t be anywhere nearly that effective. But diet can take the edge of arthritis pain and make the day more manageable with fewer pills. Skip the weightlifting exercises, because excessive and strong gripping can lead to the aforementioned trigger finger. Instead, focus on flexibility exercises. Here are a few good ones. Taking up a string instrument, like a violin or a guitar, often helps flex fingers as well. For the first few days, most people experience significant discomfort, but this short-term pain is basically like an investment in long-term pain relief, and the investment is almost always worthwhile. Well-applied hot and cold therapy can greatly reduce your medication use as well. Heat eases joint stiffness, especially at the beginning and end of the day. Some people respond to a good hand soaking in warm water, and for others, a heating pad might do the trick. Commercial hot packs are available as well that don’t radiate as much heat or use electricity. While warmth reduces the stiffness that triggers pain signals, ice dampens the nerve endings and decreases inflammation. Ice your hands for about fifteen or twenty minutes to get the most benefit, so if you use a commercial ice pack, be sure it stays cold for a long time. By changing the way you think about medicine, your pills will go much further than they did before.